Good morning! It's the 1st of the month - so RELEASE DAY for the December Release from Technique Tuesday - all products are available NOW!!! 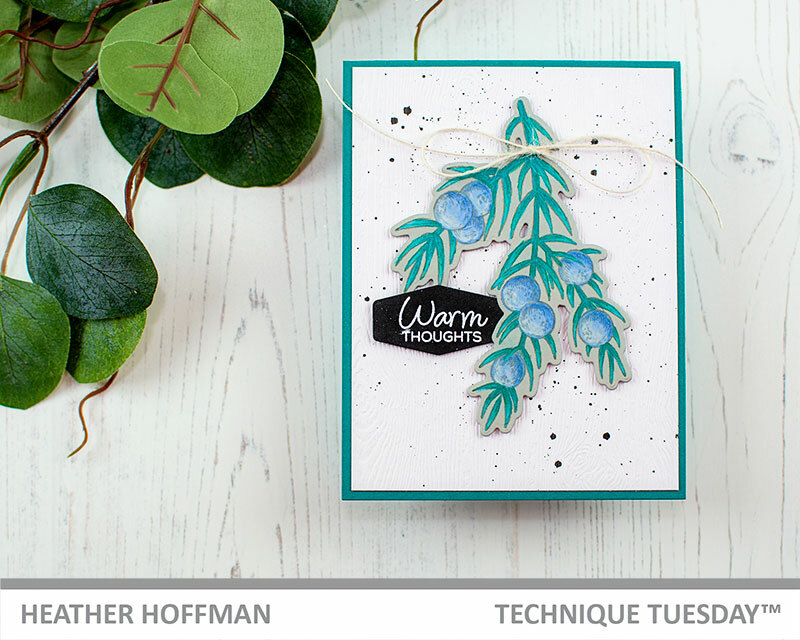 Lots of fun new stamps and dies in this release - make sure and check out the Technique Tuesday Blog to find links to all the Design Team's projects for today! 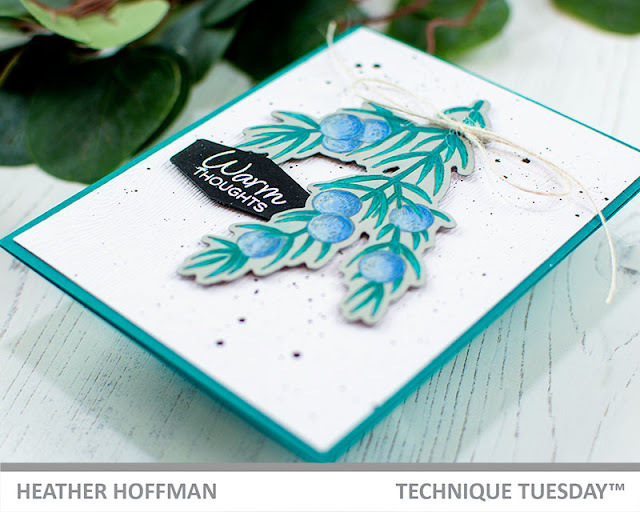 I did a bit of coloring with my Polychromos Pencils and the Joyous Juniper Stamp Set for today's card! I stamped my image on soft gray cardstock, with a slightly deeper shade of gray dye ink, then colored my image in. I left my stamp lined up in my MISTI so that when I finished coloring I could easily restamp over the finished image. I die cut the image with the coordinating dies, and tied a bit of twine around the top of the cluster. The background is some white woodgrain cardstock, with a few splatters of Pinkfresh Studio's Licorice Liquid Watercolor. 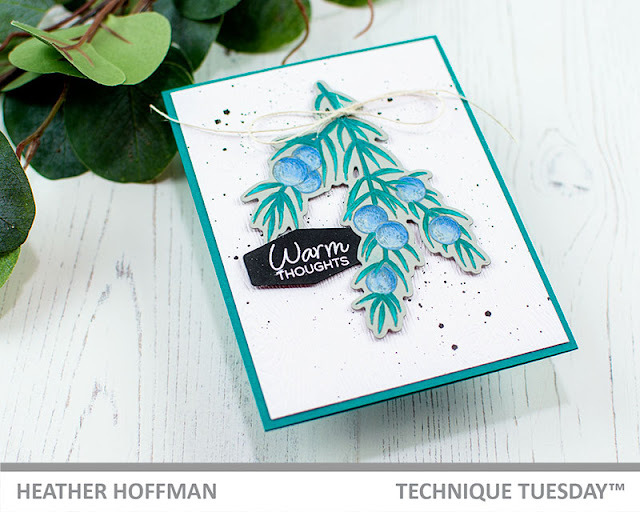 I heat embossed the sentiment on a small die cut from Captions and Labels, and adhered that and the juniper cluster with foam adhesive. Finally, I mounted that entire panel on a Peacock cardbase! Love the soft colors. Beautiful cards, Heather!